Move over plywood desks and tables! 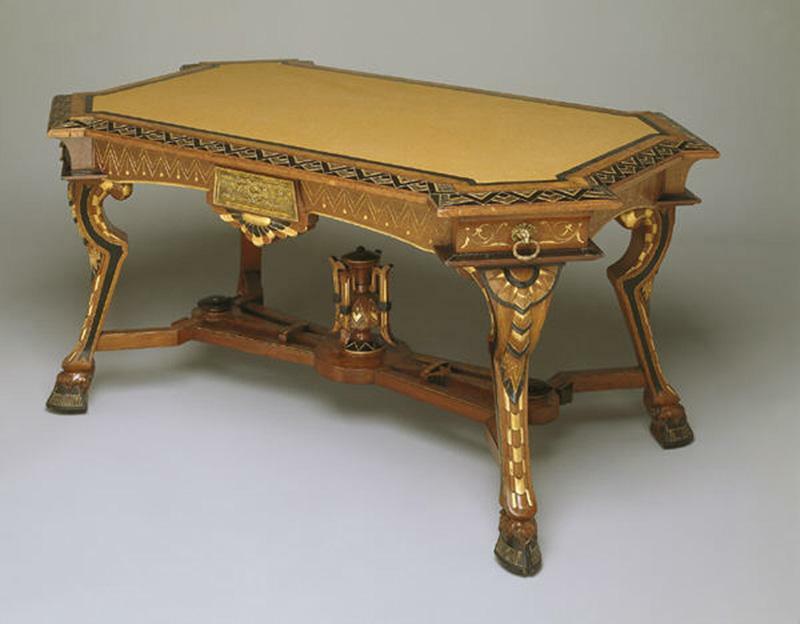 This Egyptian revival style library table is so beautiful that the kids will be begging to do their homework. The ox-hoof feet, bronze plaques, and winglike decoration all derive from ancient sources and indicate the influence of Egyptian motifs in decorative furnishings during the nineteenth century. This table is also innovatively designed, with its unusual placement of drawers that pull out diagonally from each corner. The table top was covered in fabric as well, to minimize damage to books.